I’m much more timely with writing about this than I usually am, because the exhibition is currently running. My friend Zara Carpenter has curated an exhibition of artworks In Chatham related to chronic illness. It runs from the 4th to 27th August at Sun Pier House, Chatham. You can find out more about the exhibitors and philosophy behind the exhibition on the website. There are just some hasty phone photos from the opening night. I went to the opening party last night. The big opening event was smashing the piñata. 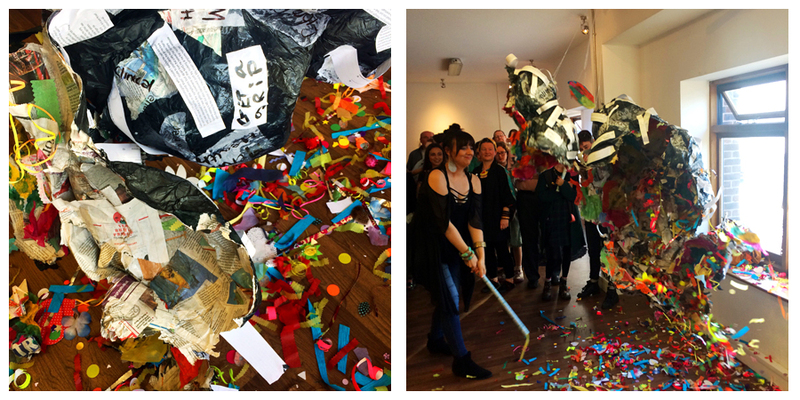 Participants in a workshop created a huge grey cloud piñata representing illness, and filled it with bright cheerful odds and ends like pompoms and badges. Here you can see the printed stories of people’s illnesses on the outside of the piñata. 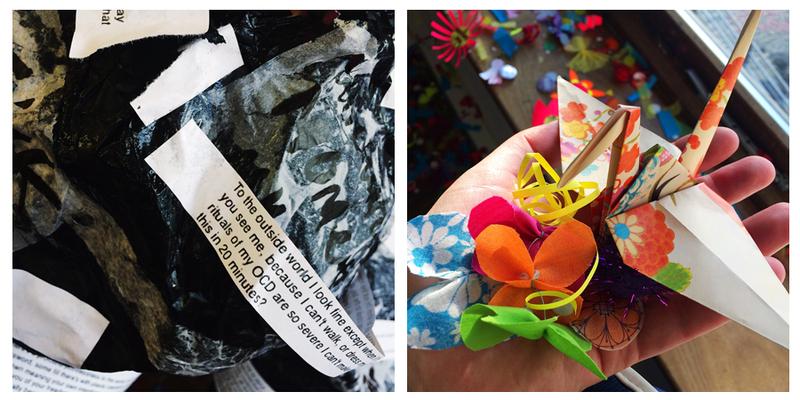 I ended up with a paper crane and fabric flowers from the inside. 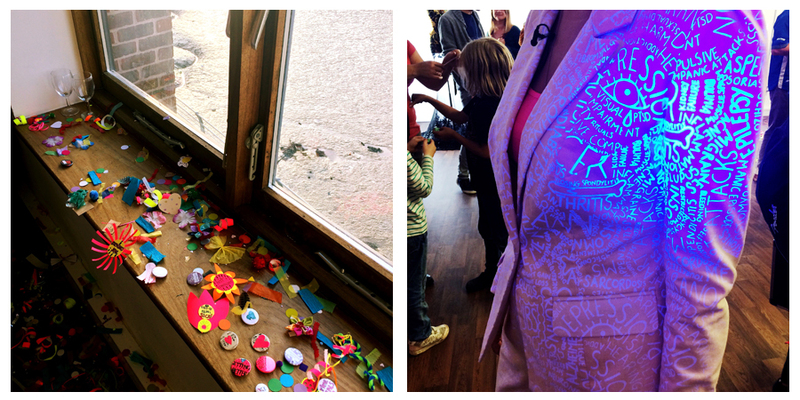 Zara also created a suit printed with names of invisible, long-term health conditions in UV ink. The names were only visible under the UV light of handheld torches, representing how debilitating illness are often hard to perceive from the outside.